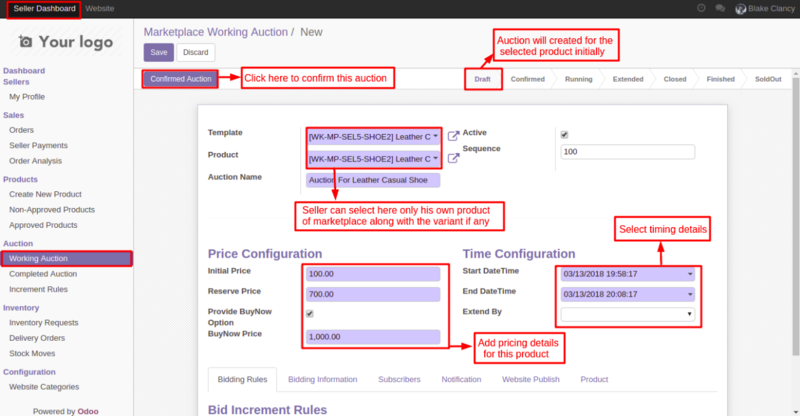 Odoo Marketplace Seller Auction is a module by which Sellers of Marketplace can add auction on any of their product marketplace. 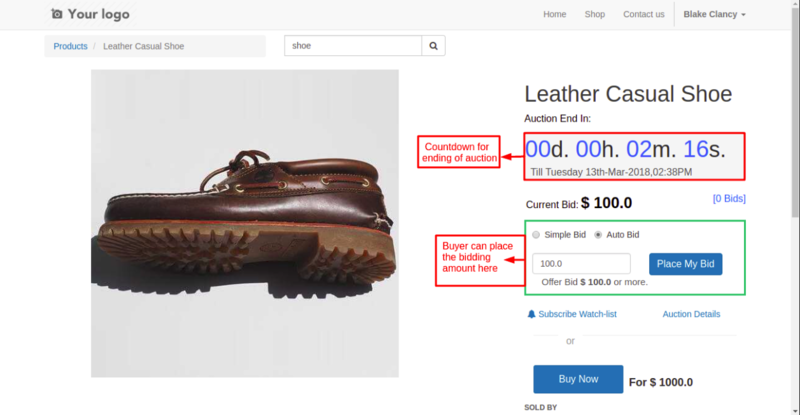 Buyers can bid for that product and winner can buy the product on that bid amount. Introducing auction strategy can boost up your revenue as a Sale by bid strategy can pump the urge to win the bid in your customers so blow out the competition with the help of vigorous online auction strategy. 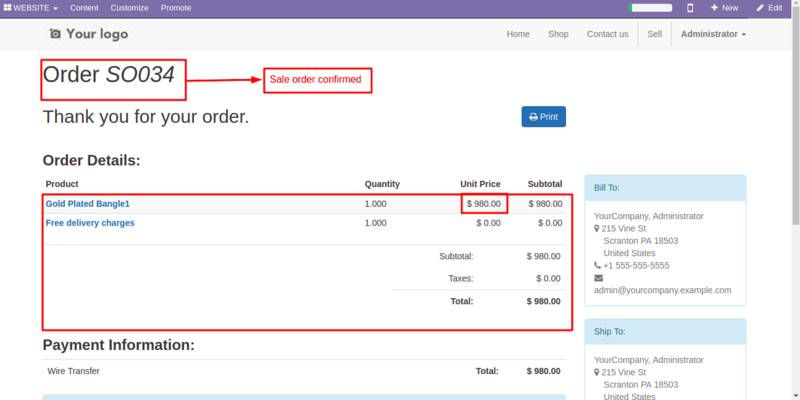 NOTE: This Module is dependent on Odoo Multi-Vendor Marketplace & Odoo Website Auction in order to use “Odoo Marketplace Seller Auction” you need to purchase these two modules also. 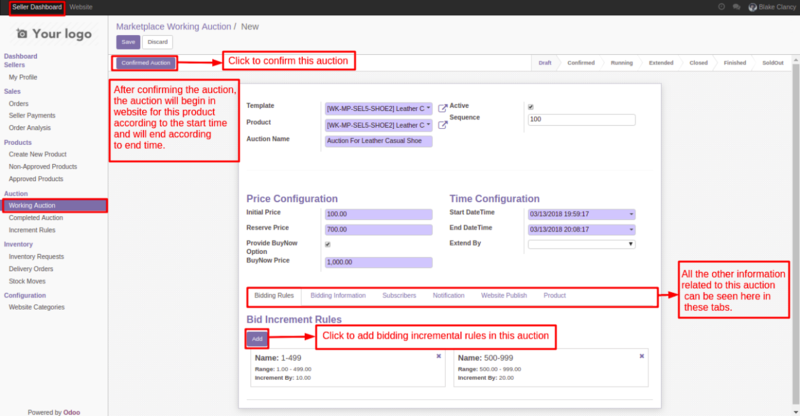 A seller can manage all the settings for the auction of their own products. After buying this app from our Webkul store you will get the link for downloading the zip file. 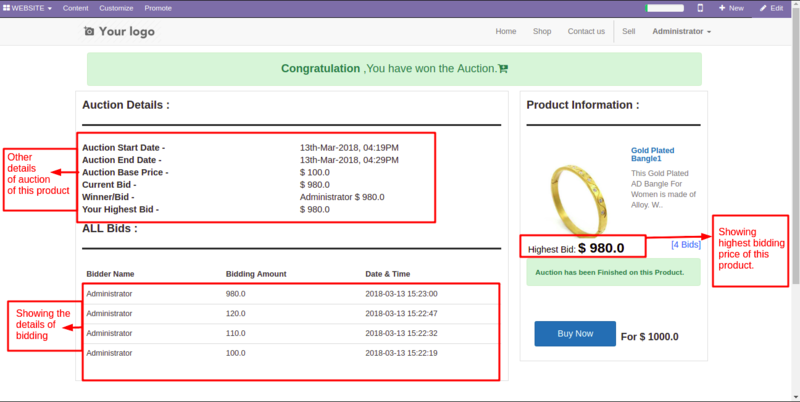 Simply download it and extract then you will see the marketplace_seller_auction folder, now you will have to copy this app folder inside your Odoo addons path. 3. Remove the app’s filter and search for the marketplace_seller_auction key. Let us start with the configuration of this module. 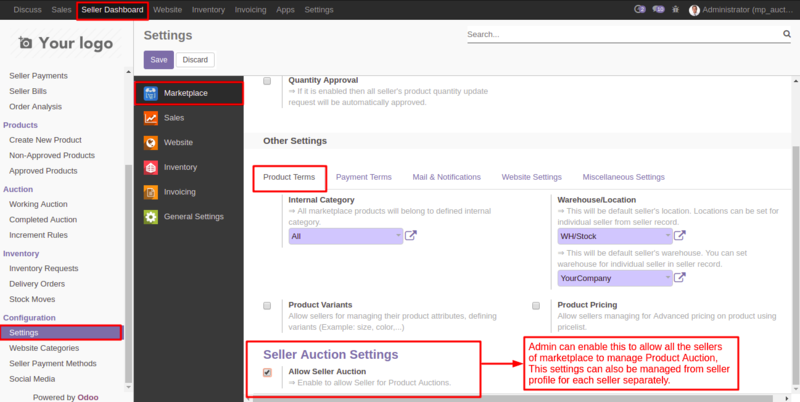 From Seller dashboard>>Settings>>Product terms Admin can manage seller auction settings and can also set default settings which will be common for all the sellers. 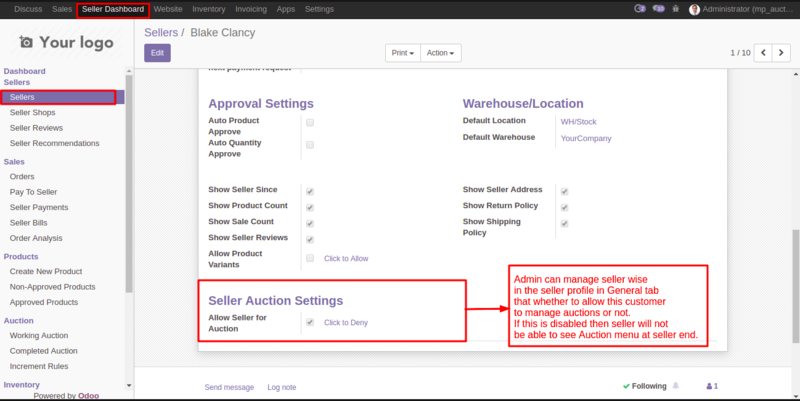 Admin can also manage seller auction settings seller wise from that particular seller’s profile he can allow or restrict a particular seller for the auction. 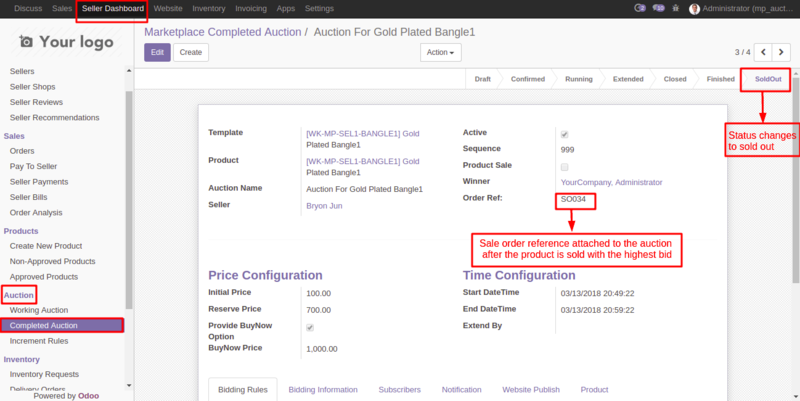 If admin disables this field from a seller profile then auction menu won’t be visible to that seller. 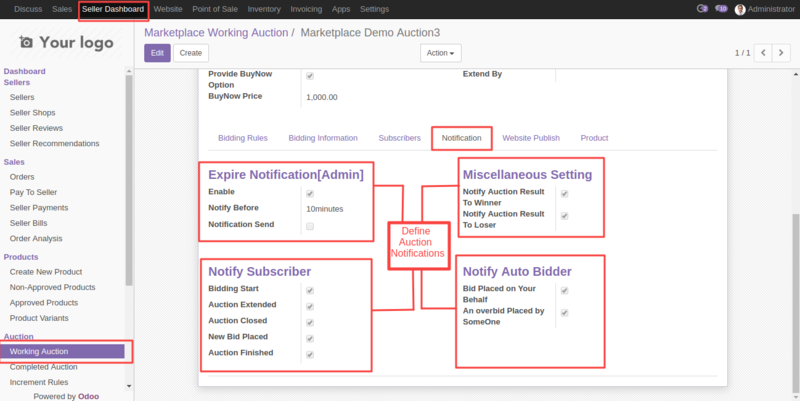 Soon after installation and configuration, a new Auction menu will be visible to admin on seller dashboard. 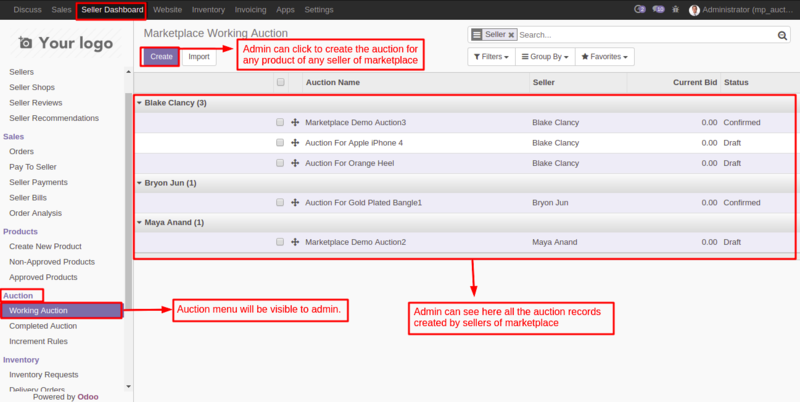 Under the menu, Working Auction admin can see here all the records of auction created by a seller. 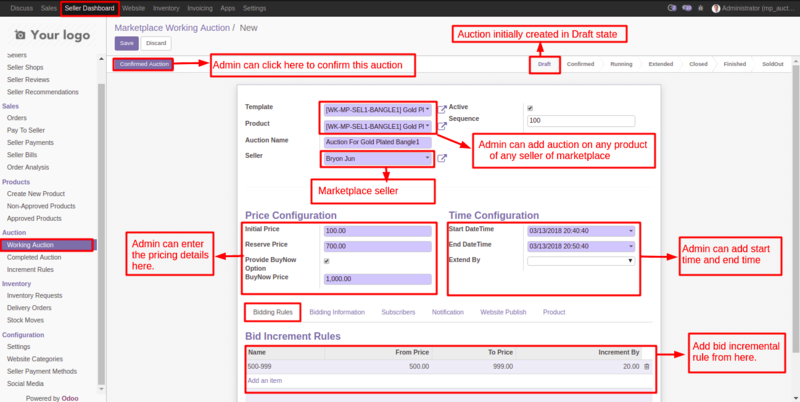 Admin can create an auction for any of the seller of the marketplace. Admin can enter the details of the auction. He can configure auction as per the requirement. Admin can define different fields like choose product name, price configurations, auction time interval, buy now option, etc. 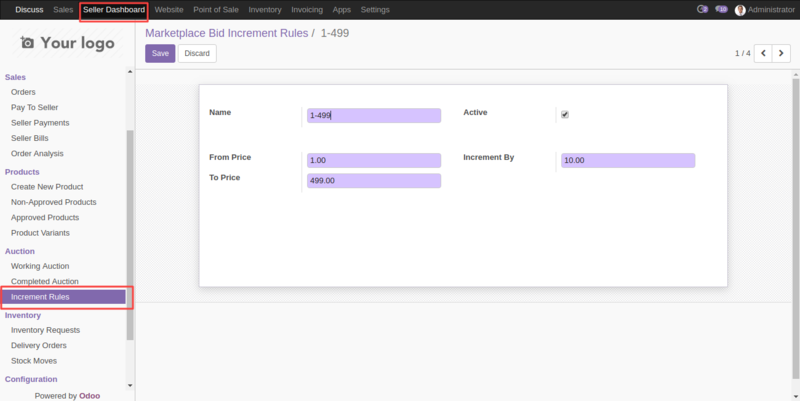 Define extended time period for a defined auction and also define what bid increment rule will be followed. After this, you need to confirm this auction and add the bid increment rule. Notification menu> Admin can also configure the notifications for an auction and can also define time threshold for the particular notification. 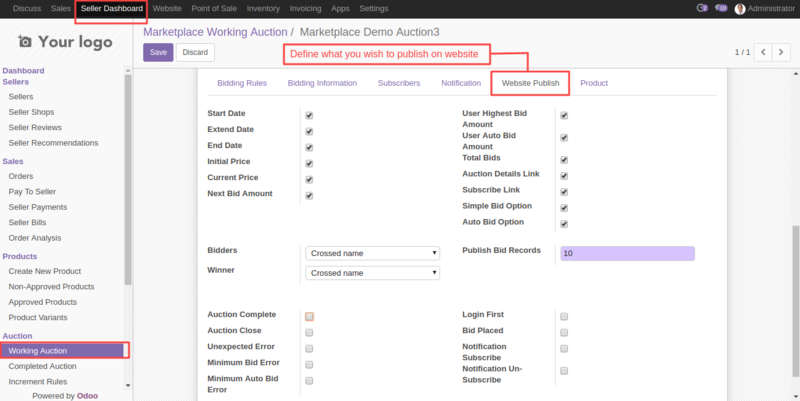 From Website Publish menu> The admin can configure the auction information which needs to be displayed on the website and can enable/disable the message as per his preference. 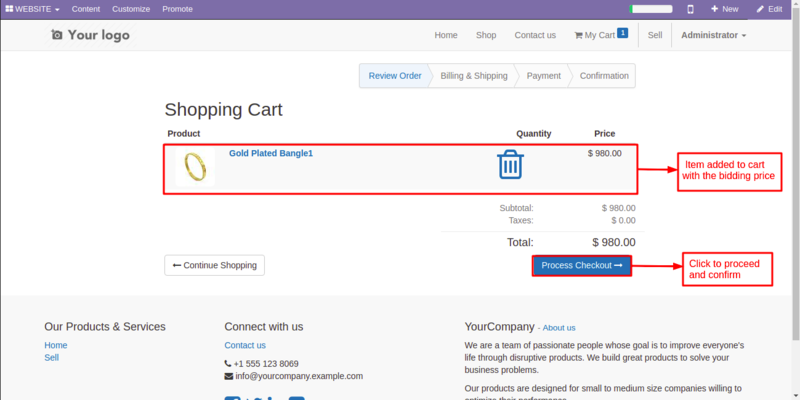 Under Product menu> define the product information which you want to display. 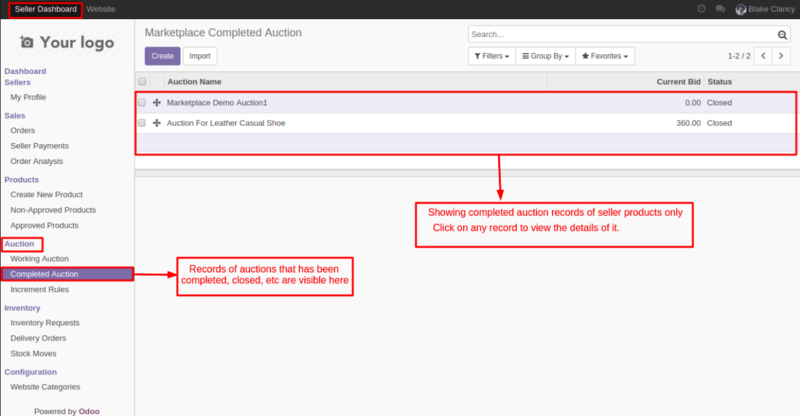 Admin can view here all the completed/closed/soldout auction records of different sellers here. He can view the list of auction running and their current bids. On completion, if the auction product is sold out, the sale order will be linked to auction record. 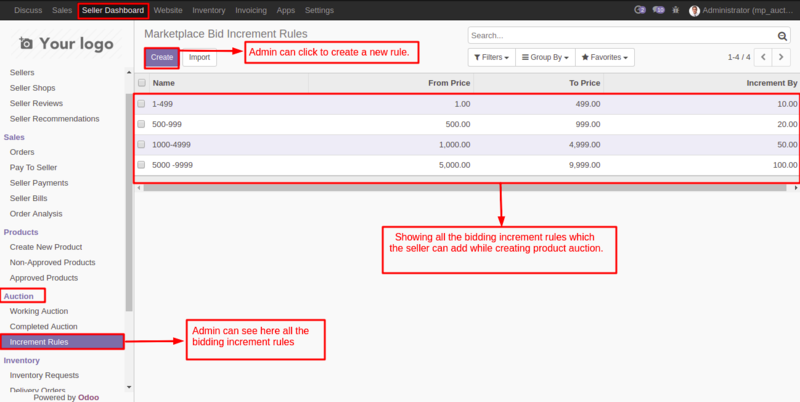 Admin can create and view here all the bidding increment rules for sellers. 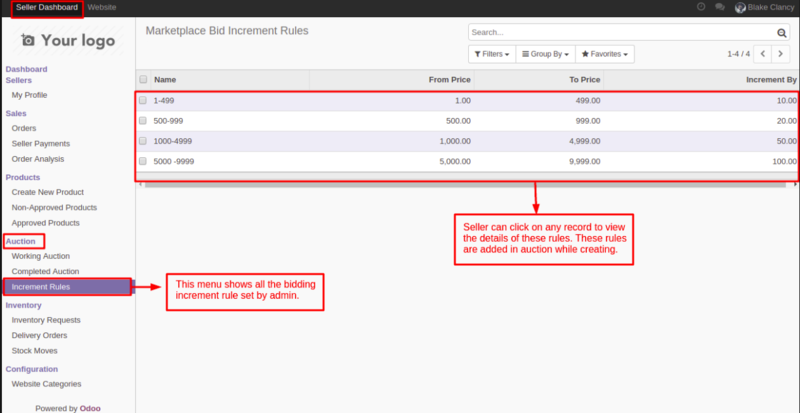 Click on sales menu> Increment rules> to create and to define the bid increment rules. If enabled by the Admin a new Auction menu will be visible to the seller in seller dashboard. 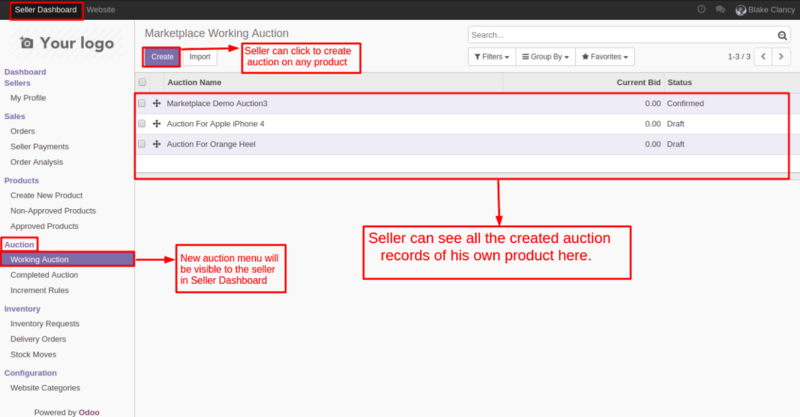 Sellers can see here all the product auction records created by them and also can create an auction for their products. A seller can enter the details of the auction. A seller can select their own products and define the rules for bidding. A seller can click to confirm this auction, and also he can add the bid increment rule. Auction on the product has been started on the website. 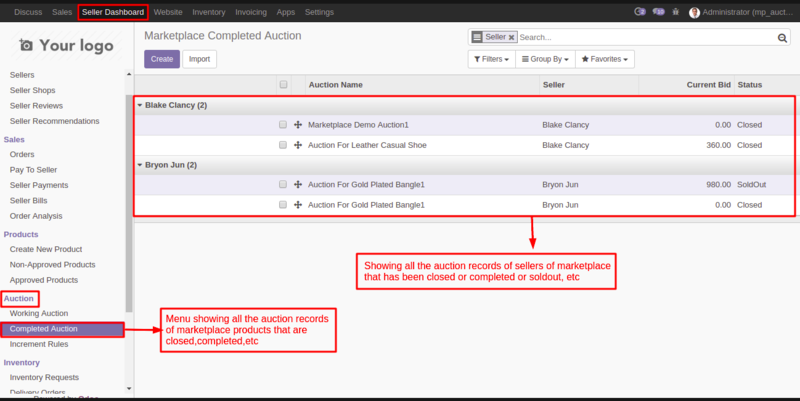 A seller can view here all the completed/closed/soldout auction records from the menu of Completed Auction. On website user can view auction details prior the auction starts, they can also view the time after which the auction is activated for bidding. Once the auction is set to run, website user can start bidding for the product. There are two ways of bidding simple bid and auto bid. Showing the details of the auction on the product. A message will be displayed if the customer wins the auction. A customer can view all the auction details in ‘My Account’ section. 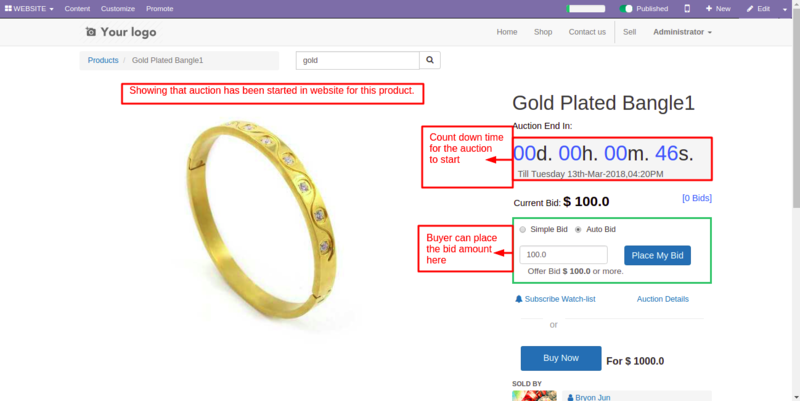 Also, the customer can add a product to cart from here if the auction is won by him. Auction product added to cart with the highest bid price. The sale order for the product with the bid price has been confirmed.